Unfortunately for me, a love of photography is one of the rare things in life that Kevin and I don't have in common. Fortunately for me, I have the most loving and supportive husband in the world! So, even though Kevin doesn't really like having his photo taken, he sits for me quite often when I want to try out a new piece of equipment or a new shooting technique. And even though he may not understand why I want to spend several hours behind my camera trying to capture the perfect shot, he regularly agrees to tag along with me when I need help with a shoot, or when I just want company. Kevin went with me a few times while I was shooting with the Fisheye Lens that I rented. During one of those trips, we stumbled upon a rather large ant hill, and Kevin suggested that I take photos of it. Because of the lens I was using, I had to plant my face just a few short inches from the ants crawling in and out of their house and take the photos. Umm.... yuck! But I did it anyway because my hubby asked me to. I knew that the photos weren't going to turn out all that great. It was getting dark, and the ants were moving pretty fast - two things that aren't really compatible in photography. In order to let in as much light as possible, I had to slow my shutter speed, and in order to freeze the movements of the ants, I had to speed up my shutter. I was already shooting with my aperture wide open, and my camera doesn't do so hot with ISO levels over 800 and as a general rule I'm not a fan of images full of noise. I did the best I could under the circumstances, knowing that the photos would probably just end up buried along with several thousand others in the archives on my hard drives. I briefly considered posting one of the photos, but ultimately decided against it. There was nothing special about any of the images, plus the ants were just kinda gross and creepy looking (or maybe that's just leftover trauma from having my nose so close to them)! 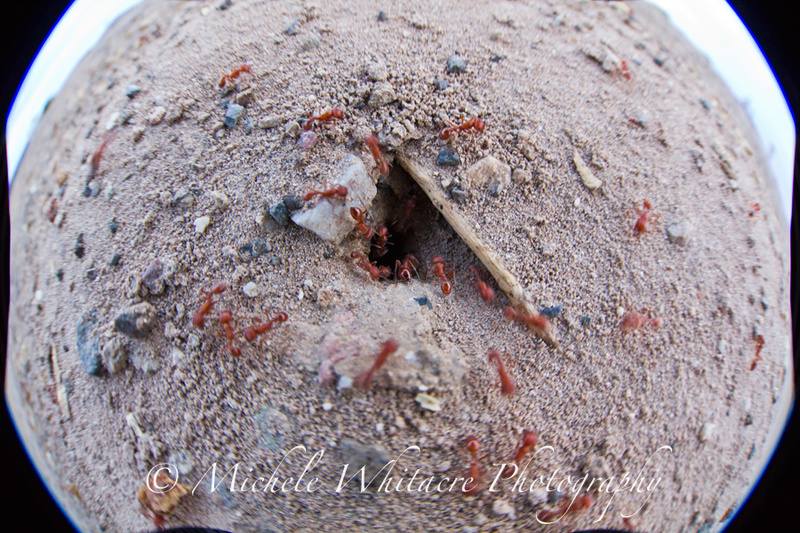 So, when I posted the final post from my Fisheye Post series it contained no ant photos. On the link to that final post on facebook, Kevin left a comment saying that he demanded ants. I had forgotten that I never even showed him any of the photos that I took! 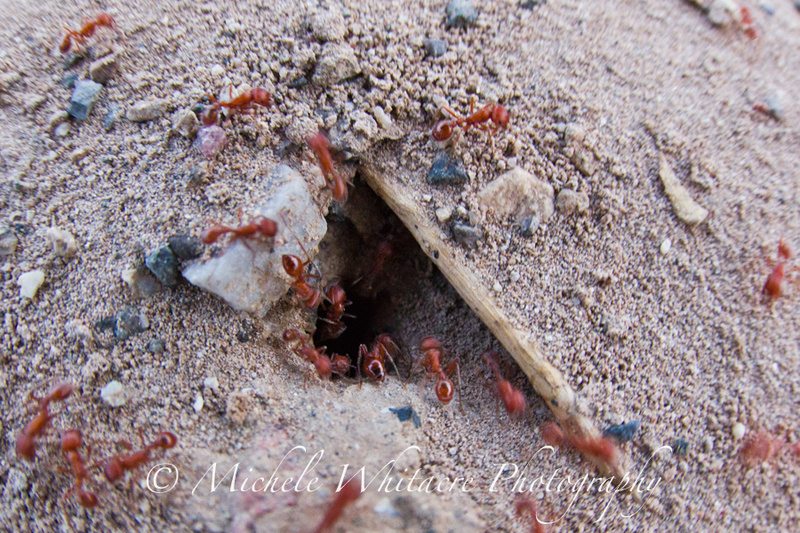 So, I am once again honoring my husband's request (or perhaps I should say demand), and giving him ants! I suppose I should consider myself lucky that my husband has such simple (albeit strange) requests. The things we do for love! So, what strange things have you done for your loved ones?